Family travel guides and travel tips for families can be extremely helpful when planning the perfect vacation for your family. There are so many things to consider, like how to keep your children safe throughout your vacation, how to entertain your kids' en-route and how to make sure all family members can enjoy their time off. We Got Top Family Travel Tips For You ! Children also have different needs and interests and both changes over time. Your children age and ability is therefore important when planning your perfect family getaway. The better you plan your family vacation in advance, the fewer glitches you are likely to encounter on the way. Fewer problems mean you will all be able to enjoy your family vacation even more. You deserve nothing less. Travelling with your family is a great privilege and should be guaranteed quality time. We at Top Travel Tips offer practical travel tips for families that can save your vacation... or at least make it even more enjoyable. How Much Freedom Should Your Teen Have On Vacation? Very few adults will first think about the things they owned, or the clothes they wore, when they think back to their childhood. They are much more likely to be thinking about what they experienced and not least about the time, they spent with their loved ones. Travelling with your children is unique opportunity to create wonderful memories that will last them for life. Some families though dread their family vacation - some even find them so stressful that they would rather stay at home than go on one. These families might benefit greatly from our practical travel tips for families, as they can help them to plan their travels with all family members in mind. Family travel networking sites might also offer them valuable support. Travelling with your family should always be a rewarding experience - you just have to prepare your travels a bit differently. And you must keep the needs and ability of all family members in mind when doing so. How To Make Travelling With Kids Fun? Everyone will enjoy themselves more if you plan your family vacation with your children's age, physical ability and interest in mind. Are age appropriate activities and entertainment available for your children? Will they be able to play with other kids and make new friends? What activities can you and your child both enjoy doing together? Theme parks are always popular choose for family vacations, with Disney World being the most famous one. Our Walt Disney World travel tips explore why everyone wants to go to Disneyland and what you need to know before you go, including how to save money when visiting Disneyland. Cruise ships offer safe and controlled environment for your family vacation so there is maybe no wonder why family cruises have become so popular in recent years. 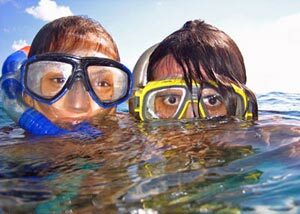 Find out what to have in mind when choosing your family cruise vacation and about the best cruise lines for families. Disney cruise ships are one of them but there are many other good options available too. Family adventure travel is also getting increasingly popular as more and more parents realize that the days of adventure do not have to be over once you have children. Introducing children to the spirit of adventure can be very rewarding for parents and very beneficial experience for the lucky children involved. Most children love active vacations so family ski vacations are great option for active families. All family members can equally enjoy this type of physical activity as everyone can ski at his or her own level. Many parents also see family ski vacation as investing in healthy outdoor sport that their children can enjoy for the rest of their life. How Do Children Travel Needs Change Over Time? For your family vacation to be a success you must plan it with your child age and needs in mind. Your child's needs will change as your child gets older and so will your family vacation. Babies are very adaptable so after three months of age they tend to be excellent travelers. Our baby travel tips offer practical advice for travelling with your youngest family member, e.g. flying with infants and child safety seats information. We have also prepared special packing checklist for babies, because let's face it, babies do not travel light. When your baby becomes a toddler, you will be faced with new challenges... actually quite few of them. Your toddler is mobile so you must childproof everything, including your accommodation and your toddlers play area. Our toddler travel tips are practical and offer you some valuable advice when travelling with your much-loved little troublemaker. School age children understand more, show more interest in their surroundings, and have the mental ability to understand different cultures. This is why many parents consider travelling with school age children not only easiest but also the most enjoyable. We offer some practical travel tips for this age group as well. Teenagers can be excellent travel companions as they can undertake and enjoy many of the same activities as their parents. However, teenagers have some needs and wants that you must take into consideration for your family vacation to be a success. Our travelling with teenagers travel tips offer practical advice, helping you not only to survive, but to enjoy travelling with your teenager. One of the big issues when travelling with teens is how much freedom to allow them while on vacation. Less is usually more in this case but it is recommended to agree the teenagers travel rules in advance. We also look at what makes travel destination family friendly. For example, age appropriate activities and entertainment should be available and your children should have the opportunity to make new friends. 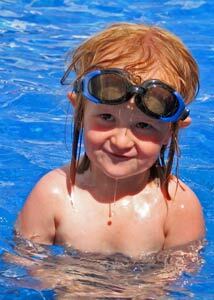 Most popular family travel destinations also offer access to quality childcare. We have not forgotten other important family members. We offer useful pet travel tips for those that leave no one behind and we have not forgotten about the important grandparents. 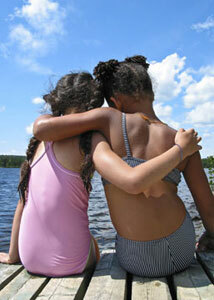 We also offer great family travel guides tips for when travelling with your extended family. Your family is likely to be what you value most in your life. Your family safety is therefore likely to be your highest priority when travelling. You can usually save money with annual family travel insurance, i.e. rather than taking out individual insurance policy for each of your family member. We go through in detail what you must have in mind when buying your family travel insurance. We hope our family travel guides and travel tips for families will be helpful when planning your next family vacation. Ps. Don't forget to check out our top 10 family travel tips.